… socially and botanically with two programs at the Greater Des Moines Botanical Garden. The Spring Garden Festival May 11-14 is a celebration of the season and a pop-up retail event. An opening-night party from 6 to 8 p.m. May 11 includes live music, cocktails and appetizers, and a butterfly release. Check the Botanical Garden’s website for ticket information. The public sale Friday through Sunday will feature nearly 500 varieties of perennials, annuals, edibles, houseplants, trees and shrubs, many available locally only at the festival, says Kelly Norris, director of horticulture. A merchandise fair is Sunday only, May 14, but live demonstrations and family gardening workshops will be held throughout the festival, Norris adds. Coming up in June: A three-month series of Thursday-night gatherings called Social Irrigation. From 5 to 8 p.m. every Thursday—June 22 through Sept. 28—the Botanical Garden will have musicians, food and beverages, plus lawn games such as croquet and bocce ball. Variety will be a key element, says Debra Peckumn, director of philanthropy. So musicians will range from blues to jazz, crooners to classical. Local artists Bob Pace and Max Wellman are scheduled, as are the Des Moines Big Band, the Maytags and the Jack Morgan Orchestra. Trellis, the on-site restaurant, will be open, and service will include craft beers, specialty cocktails and picnic basket dinners. 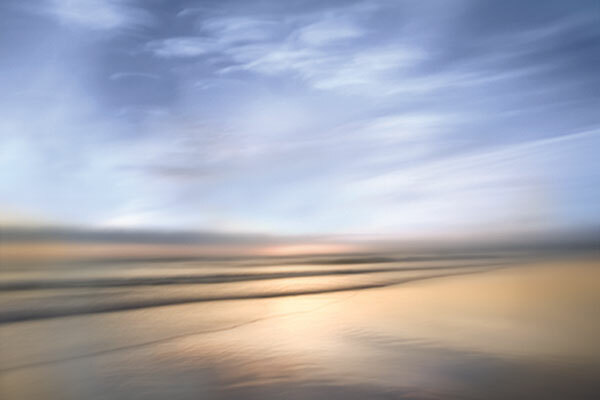 Karin Connolly, “Wispy Waters,” photograph. 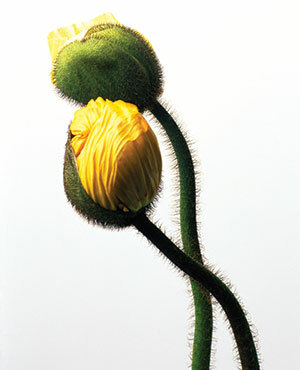 Connolly, a Florida nature photographer, will be one of the artists at the Des Moines Arts Festival. … for the series of independent events occurring during Art Week Des Moines, June 19-25. It’s the third year for this loosely organized bundle of fun, ramping up to the 20th Des Moines Arts Festival opening June 23. Early commitments for Art Week include gallery exhibits, studio tours, visiting artists and opportunities to dabble firsthand in painting on canvas. From the first to the second year, participation increased from fewer than 20 events to about 60. So expect plenty of opportunities each day. That’s as intended. “Our goal has been that people would get out and about—and bounce from place to place,” says Visionary Services owner David Safris, who created the concept with Liz Adelman, partner of the AdelmanDean Group. “The first year, we had to do a lot of explaining and encouraging,” Safris says. The concept has proven itself now, and this year’s Art Week has exciting momentum, he says. Art Week isn’t an entity that owns or manages anything. Instead, it’s a committee of collaborators who promote independent events. “We encourage small events, where people can meet new artists, mingle with other crowds and have conversations about art,” Safris says. More details: artweekdesmoines.com. The grand finale of all this ramping up is, of course, the Des Moines Arts Festival, June 23-25, which surrounds Western Gateway Park. The festival has come a long way from the first Art in the Park event in 1958, when the Des Moines Art Center welcomed artists to showcase their works in Greenwood Park. The rigorously juried downtown version, which this year will include 180 artists from 29 states, gained size and momentum along the way. Organizers list annual attendance as more than 200,000 people. The centerpiece is the opportunity to meet exceptional artists and to view and purchase their work, but the festival also includes live entertainment—music, dance, acrobatics and more—and family activities. A recent and growing component, the Interrobang Film Festival, combines a traditional film production festival with public screenings daily at the Central Library. More information: DesMoinesArtsFestival.org. Help honor volunteers and organizations who are making a difference in our community at United Way of Central Iowa’s Live United luncheon. 11:30 a.m., The Meadows Events and Conference Center, Altoona. $20; liveunited2017.org. Join the Community Foundation of Greater Des Moines for its annual Celebration Luncheon and Report to the Community. 11:30 a.m., Community Choice Credit Union Convention Center. $30; desmoinesfoundtion.org. Celebrate hair as a form of artistic self-expression and also enjoy a runway show, music and special performances at the biennial and highly popular Big Hair Ball 2017: Alchemy (pictured). 7:30 p.m., Des Moines Art Center. $65-$125; desmoinesartcenter.org. The Des Moines Symphony’s season finale showcases Michael Daugherty’s “American Gothic,” plus works by Hindemith, Saint-Saëns and Ravel. Virtuoso cellist Matt Haimovitz stars. 7:30 p.m.; also 2:30 p.m. May 14, Des Moines Civic Center. $15-$65; dmsymphony.org. “The Curious Incident of the Dog in the Night-time” is a Tony Award-winning play that follows the story of an exceptionally intelligent 15-year-old boy who struggles with interpreting everyday life. When he’s suspected of killing a dog, he sets out to find the true culprit. Through May 21 (times vary), Des Moines Civic Center. $35-$103; desmoinesperformingarts.org. 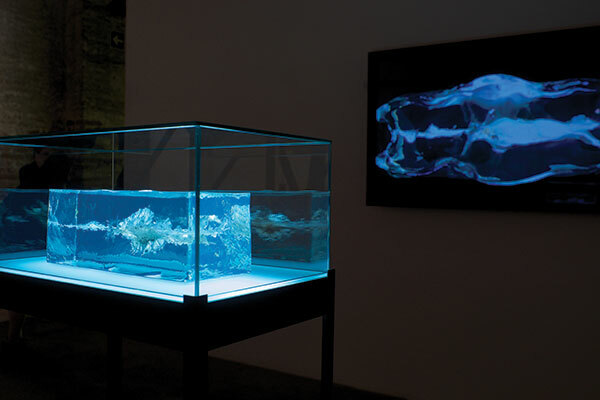 Propeller Group, “AK-47 vs. M16” (2015); fragments of AK-47 and M18 bullets, ballistic gel, custom vitrine, and digital video; 54 x 24.5 x 14 inches. Courtesy of James Cohan Gallery, New York. The work will be a part of “Ruptures,” a new exhibit opening June 3 at the Des Moines Art Center. The 15th Winefest begins with food-and-wine-pairing workshops at Meredith Corp. and Cowles Commons. The weeklong schedule of events concludes with the Grand Tasting on June 10. Times, dates, venues and prices vary; winefestdesmoines.com. Featuring the works of nine contemporary artists and one collective, “Ruptures” (pictured above) opens at the Des Moines Art Center. The exhibit explores the anxieties and fears fostered by worldwide uncertainty over a highly technological culture and economic and political power structures. Through Sept. 3, Des Moines Art Center. Free admission; desmoinesartcenter.org. Watch golf legends compete in the Principal Charity Classic tournament, which raises money for local nonprofit organizations. Through June 11, Wakonda Club. Tickets begin at $20; principalcharityclassic.com. The Des Moines Arts Festival includes 180 juried artists from across the country and more. Through June 25, Western Gateway Park downtown. Free admission; desmoinesartsfestival.org. Art Week Des Moines, featuring a variety of arts-related community events, leads up to the Arts Festival. June 18-25, times and venues vary. Most events are free; artweekdesmoines.com. Des Moines Metro Opera opens its 45th season with “Turandot,” followed on June 24 with the dinner gala and “A Little Night Music.” The season also includes “Billy Budd.” Read more about the season in this story. Performed on a rotating basis through July 16 (times vary), Blank Performing Arts Center, Indianola. $37-$98; desmoinesmetroopera.org. The Elements at Prairie Trail. 5-7 p.m., with a short program at 6 p.m., 1380 S.W. Vintage Parkway, Ankeny;dsmmagazine.com; elementsbyksorbe.com. Sculpture honors legal pioneers and celebrates optimism for the future.